Formally founded in 1884, Jacksonville Beach is one of northeastern Florida’s most popular tourist destinations. Located an hour’s drive south of the Georgia border, Jacksonville Beach is beloved both for its proximity to the city of Jacksonville and its lovely location along the Atlantic Ocean. If you’re thinking about visiting Jacksonville anytime soon, you need to check out this article. Below, we’ll go over the best things to do in Jacksonville Beach and explain how to get there from anywhere in the world. 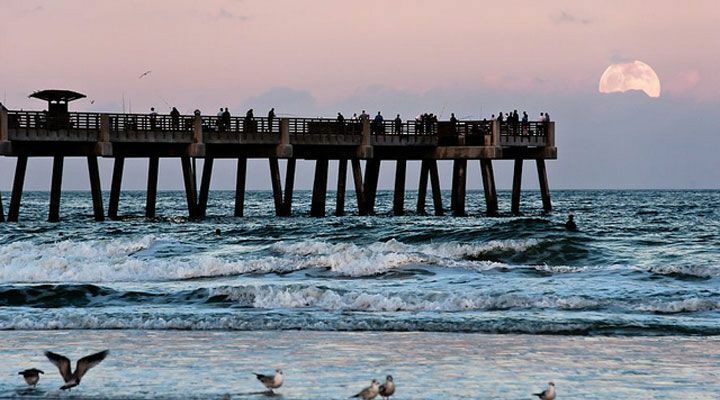 Obviously, the two main things to do in Jacksonville Beach are to explore the pristine 4.1-mile beach and walk along the pier. While Jacksonville Beach can get a bit crowded during the height of tourism season, the number of people here usually isn’t unbearable. Travel experts recommend visiting Jacksonville Beach between March and May or September and November for a great combination of fine weather and fewer crowds. The peak tourism season is usually between June and August. Even though this is Florida, remember that Jacksonville Beach is in the northeastern portion of the state and can get chilly (40°F) in the wintertime. Just so you know, you can fish on the Jacksonville Beach Pier, but you’ll have to pay $1.00 to enter. Believe it or not, number two on TripAdvisor’s list of things to do in Jacksonville Beach is to take a short ride up north to another incredible stretch of sand: Atlantic Beach. Since Atlantic Beach is further away from downtown Jacksonville, it usually isn’t as crowded as Jacksonville Beach. Anyone who wants to enjoy the northern Florida sands without the hordes of vacationers will find more privacy at Atlantic Beach. While it’s more isolated, there are still plenty of shops and restaurants to take in while visiting this local favorite. 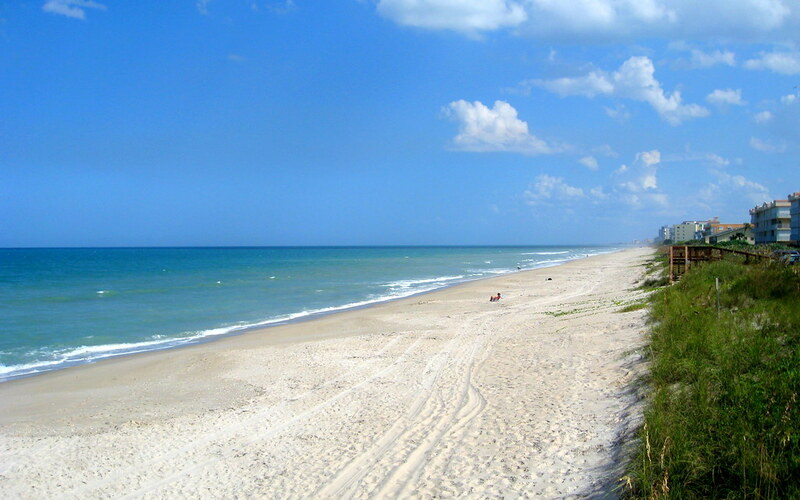 Atlantic Beach is approximately a 15-minute drive north of Jacksonville Beach. One of the best things to do in Jacksonville Beach if you’re traveling with children is to stop by the huge Adventure Landing entertainment center. Just a few of the activities you’ll be able to enjoy at Adventure Landing include a mini golf course, a water park, go-kart racing, and laser tag. There are even a few batting cages, an arcade area, and a roller coaster here for the whole family to test out. So, yeah, it’s pretty safe to say your kids will be entertained here. Adventure Landing is usually open seven days a week. However, be sure to check their website to find out the specific times when you’re planning on visiting. You’ll find Adventure Landing at 1944 Beach Boulevard in Jacksonville Beach. Golfers will have no trouble finding a place to “get their game on” Jacksonville Beach. The most famous golf course in the city is the aptly named Jacksonville Beach Golf Club and is located at 605 Penman Road South. With a history dating back to the 1960s, the Jacksonville Beach Golf Club is a par 72 18-hole course about 12 blocks from the beach. 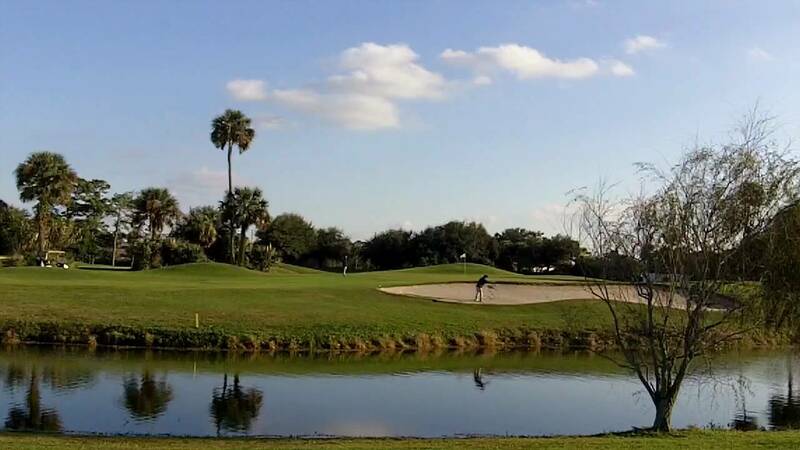 While the Jacksonville Beach Golf Club is the most famous in the city, there are a few other courses nearby you could test out such as the TPC at Sawgrass Stadium Course, the Lagoon Course at Ponte Verda Inn & Club, and the Marsh Landing Country Club. No matter where you choose to tee off, you’re sure to enjoy spectacular weather and views while golfing. Located at 11676 Palmetto Avenue just a 50-minute drive north of Jacksonville Beach, the Kingsley Plantation is the oldest surviving planation in the state of Florida. Guests at Kingsley Plantation can go on a guided tour with a ranger to learn about the architecture of this massive estate and the history of Zephaniah Kingsley, the plantation’s 18th century founder. Afterwards, free to explore the natural wonders of the Timucuan Ecological & Historic Preserve in which the Kingsley Plantation is situated. A few other great options in Jacksonville Beach for cheap eats include the Maple Street Biscuit Company, Safe Harbor Seafood, and The Metro Diner. For those willing to splurge on an elegant meal, check out the names Eleven South Bistro, Roy’s, and Marker 32. Of course, if you don’t see anything that suits your palate in Jacksonville Beach, you could always take a quick ride to Downtown Jacksonville for even more incredible dining options. Speaking of Downtown Jacksonville, how could we not suggest taking a trip or two into “The River City” on your vacation to Jacksonville Beach? The list of attractions in Jacksonville is endless. A few standouts include the Catty Shack Ranch Wildlife Sanctuary, the Cummer Museum of Art and Gardens, the Avondale Historic District, and the Karpeles Manuscript Library Museum. People looking for great shopping, consider visiting Jacksonville’s San Marco Square, the Avenues Mall, and, of course, Downtown. When your tummy starts grumbling, Jacksonville is sure to supply you with one restaurant that will soothe your hunger pangs. Don’t neglect to check out this major Florida city while at Jacksonville Beach. Luckily for global travelers, Jacksonville Beach is located near a very popular international airport: Jacksonville International Airport (IATA: JAX). No matter where you’re flying in from, you shouldn’t have an issue booking a flight into JAX. It’s only a 40-minute drive from JAX to Jacksonville Beach proper. As you head out of the airport, take I-95 S and then get on I-295 S towards FL-212 E. Get off at exit 51 and continue on FL-212 E until you reach Jacksonville Beach. Is it any wonder Jacksonville Beach is one of the most popular summer destinations in the USA? Not only are there plenty of things to do in Jacksonville Beach proper, there are innumerable world-class attractions in the nearby megalopolis of Jacksonville. Hopefully this list helped you plan your own getaway to this incredible region of the Sunshine State.